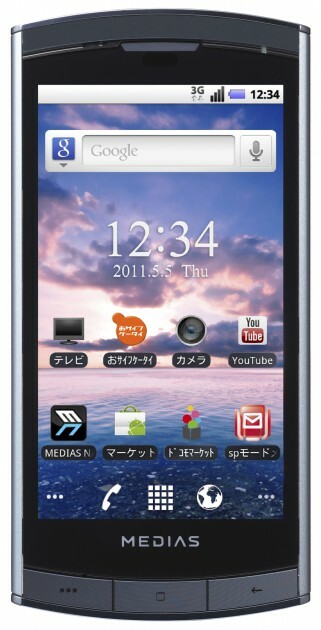 The NEC Medias is not only “the world’s slimmest smartphone”, it’s also selling really well. The handset, which we have shown you last month, was the best-selling cell phone in Japan between March 14 and March 20, according to market research firm Gfk Japan [JP]. To recap, the NEC Medias is just 8.7mm thick and features a 4-inch LCD touchscreen with 480 x 854 resolution, Android 2.2, a 5.1MP CMOS camera, a digital TV tuner, e-wallet function, Wi-Fi, Bluetooth Version 2.1+ EDR, a microSDHC card slot etc.